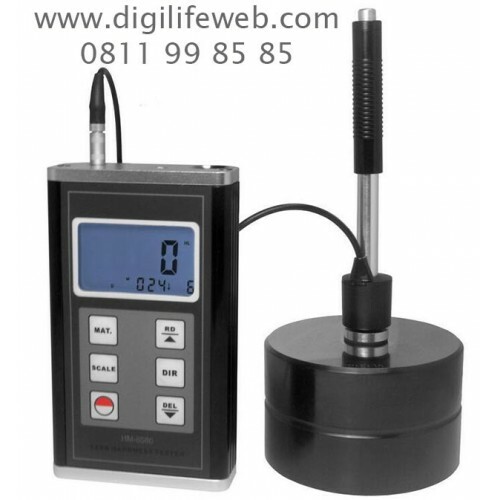 This digital hardness tester measures the hardness of sample material in terms of Hardness Leeb (HL). 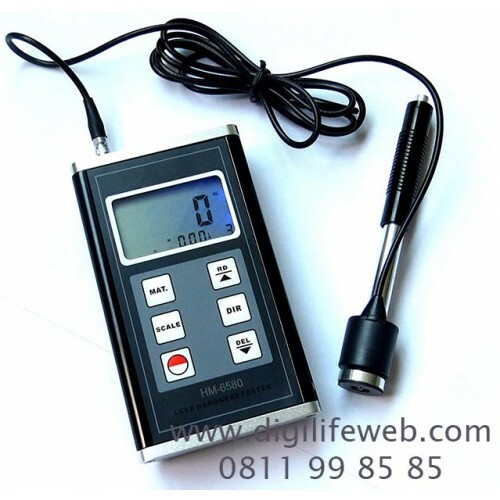 Its very handy portable, but powerful and versatile hardness tester for different kind of metallic materials including steel and cast steel, cold work tool steel, stainless steel, grey cast iron, nodular cast iron, cast aluminum, brass, Bronze and copper alloys with high accuracy, suitable for use under tough working conditions. Test can be at any angles, even upside down. Moreover, a thermal mini-printer can be attached to the meter for a fast on-site printing of results. It can be used on die cavity of molds, bearings and other mass produced parts on production line, failure analysis of pressure vessel, steam generator and other equipment, heavy work piece, installed machinery and permanently assembled parts, testing surface of a small hollow space, material identification in the warehouse of metallic materials, rapid testing in large range and multi-measuring areas for large-scale work piece. An impact body with a spherical test tip made of tungsten carbide is propelled against the sample surface by a spring force and then rebounds back. At a distance of 1mm from the sample surface, the impact and rebound velocity of the impact body are measured by the following method: A permanent magnet embedded in the impact body, when passing through the coil in its coil holder, induces in the coil an electric voltage proportional to the velocities of the magnet. 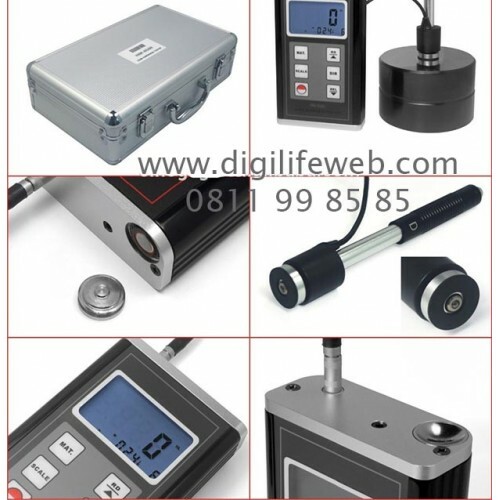 * Direct display of hardness scales HRB, HRC, HV, HB, HS,HL. * Large memory could store 50 groups including single measured value, impact direction, material and hardness scale etc.